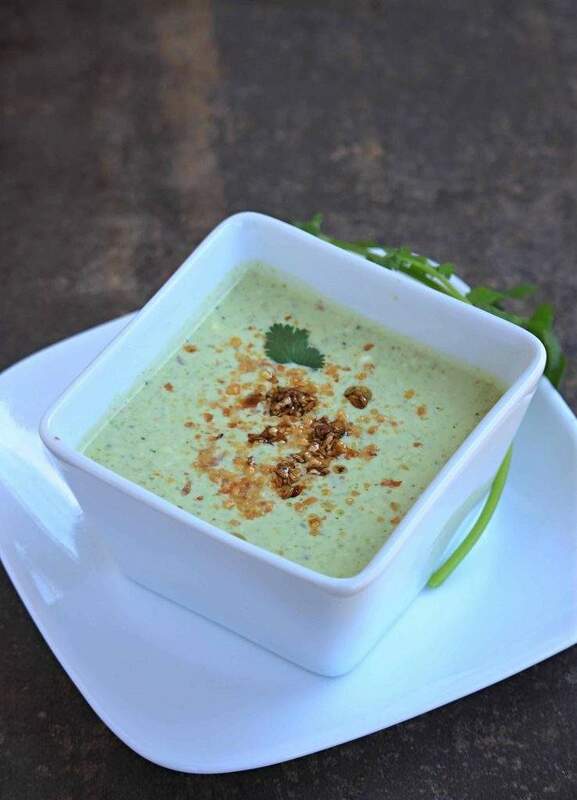 A chilling and refreshing raita / Yogurt dip made with cucumber with a little bit of peanut to give it a texture. 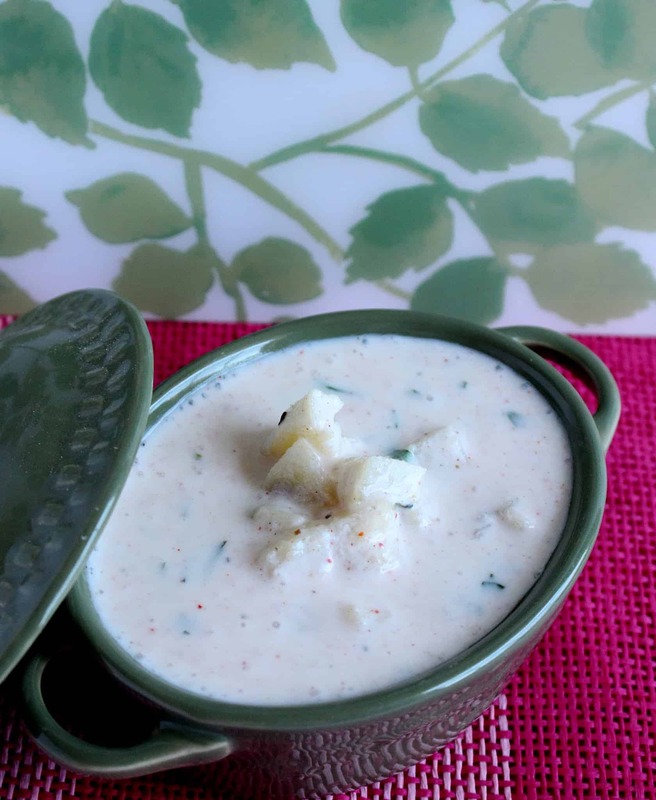 Raita is a very common recipe that I make often at home and cucumber raita is the most common one. I sometime chop the cucumber and sometimes grate it. I have noticed that my boys love the texture of the raita when I make it with chopped cucumbers. 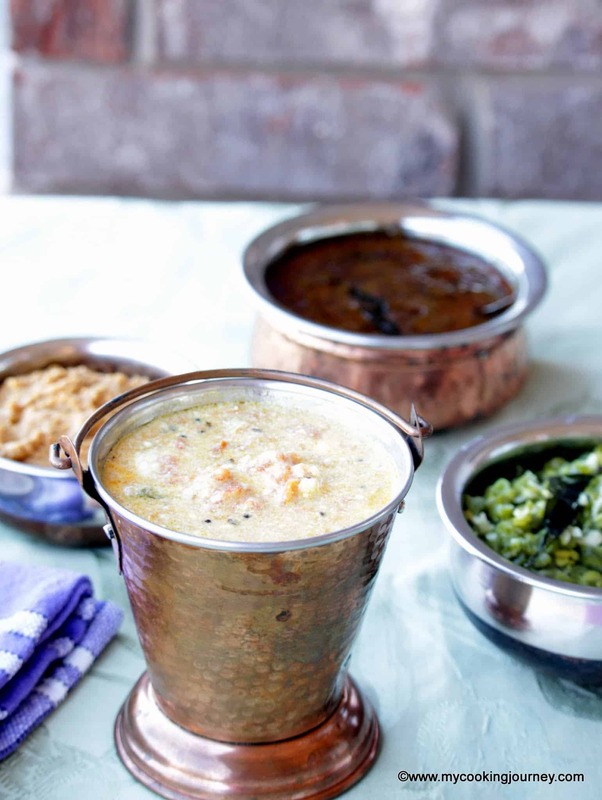 Raita is a perfect accompaniment to any gravy or rice dish. It acts as a perfect cooling agent when having a spicy meal. During one of our regular chats, my dear friend Deepa gave me this recipe. 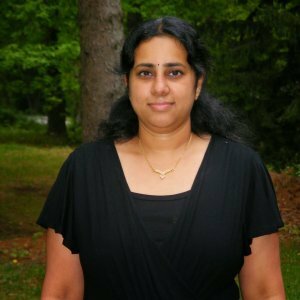 She saw it in some Tamil blog and she passed it on to me. This was definitely something different from what I usually make and it was really good. 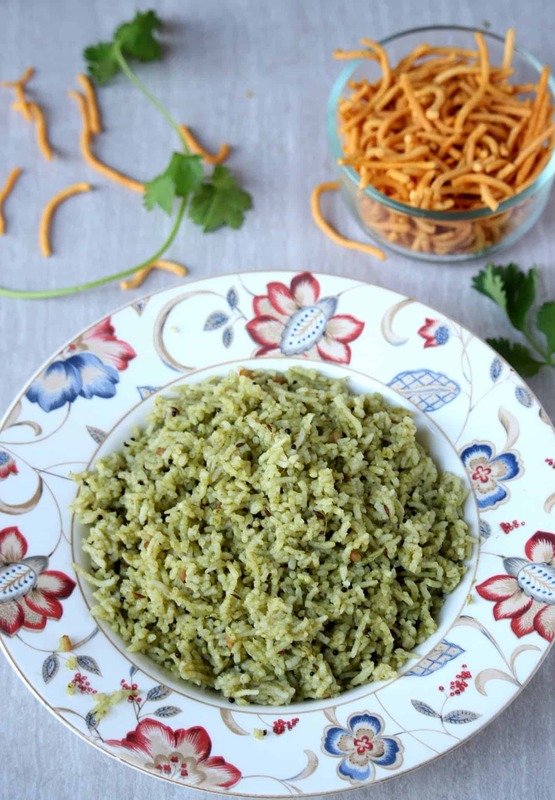 When using grated cucumber, the raita seems to be lacking the texture. When making a large quantity of raita, chopping is a task and grating the cucumber is so much simpler. That is when this recipe came to my rescue and adding the peanuts add a wonderful texture and that is exactly what it needs. 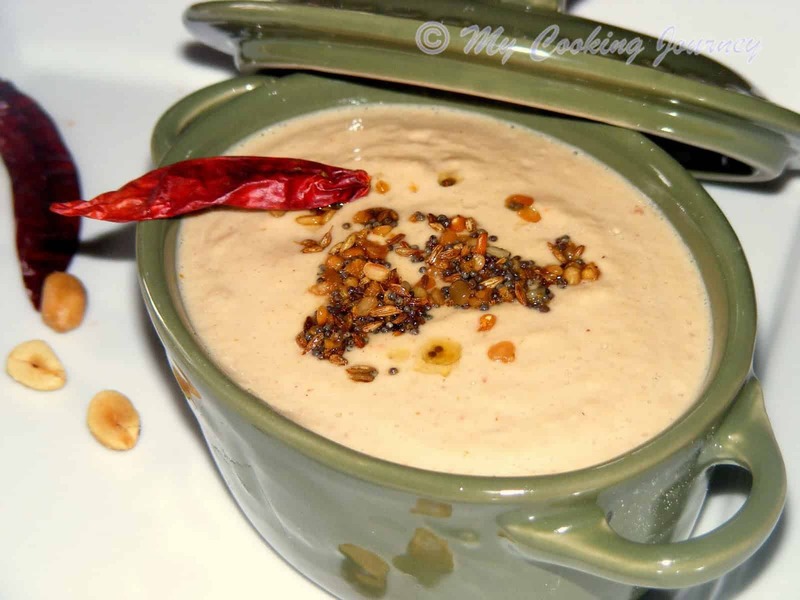 This raita also has a different spice mixture that makes this very different from the other ones. 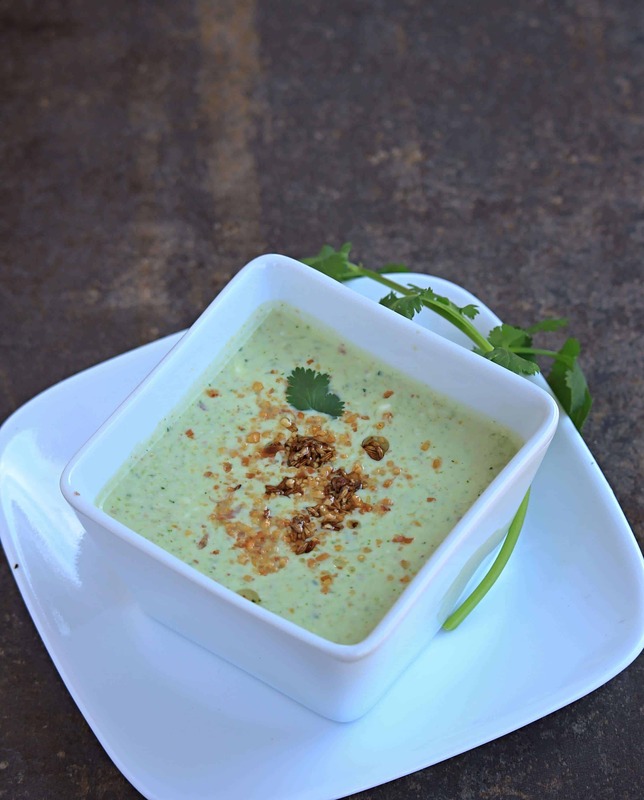 It has an amazing flavor from the ground green chilies and cilantro mixture. 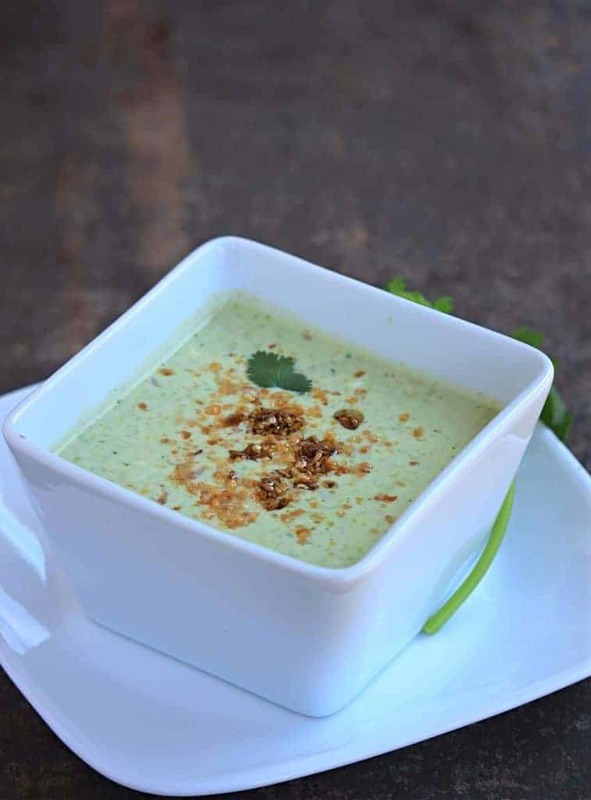 The green chili and cilantro also gives the raita a beautiful light green color. Use as little or as much as cilantro that you like. Cilantro can also be substituted with mint if you like the flavor of mint or both cilantro and mint can be used. Peel and grate the cucumber in a bowl and keep aside. 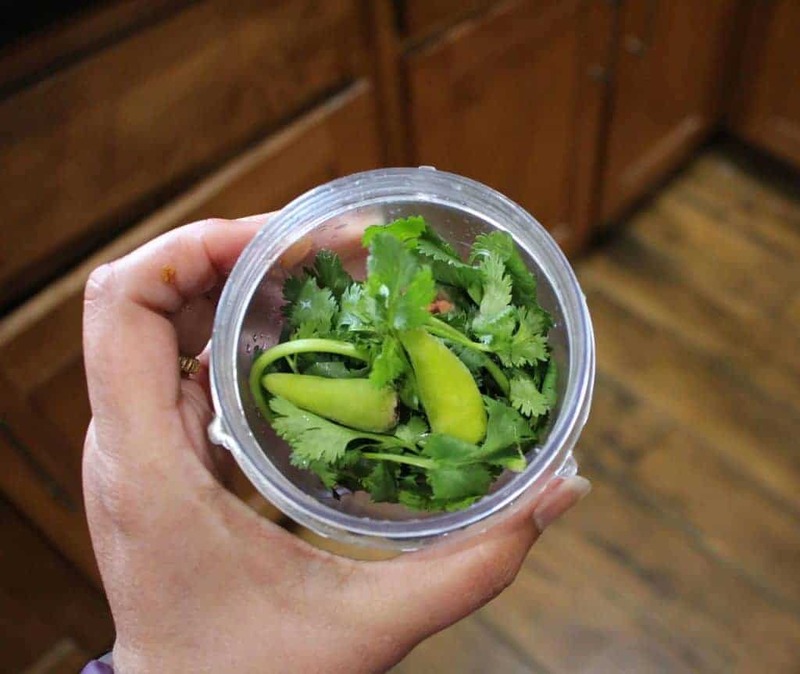 Grind together the roasted peanuts, green chilies and cilantro into a smooth paste. If needed add a little water when grinding. If you do not have roasted peanuts, roast it in a pan until slightly brown, cool it down and then grind it with other ingredients. I used the roasted salted peanuts, so I skipped the roasting part. Add the ground paste to the grated cucumbers along with required salt and mix it well. If using salted peanuts, keep that in mind when adding the salt. Now add the thick curd to the cucumber mixture and mix it well. Heat a tiny pan with oil and add the cumin seeds to it. Let it splutter and then add this to the raita. 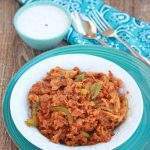 Serve with Biriyani, pulao or roti’s. 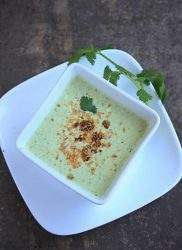 A chilling and refreshing raita / Yogurt dip made with cucumber with a little bit of peanut to give it a texture. Heat a tiny pan with oil and add the cumin seed s to it. Let it sputter and then add this to the raita. 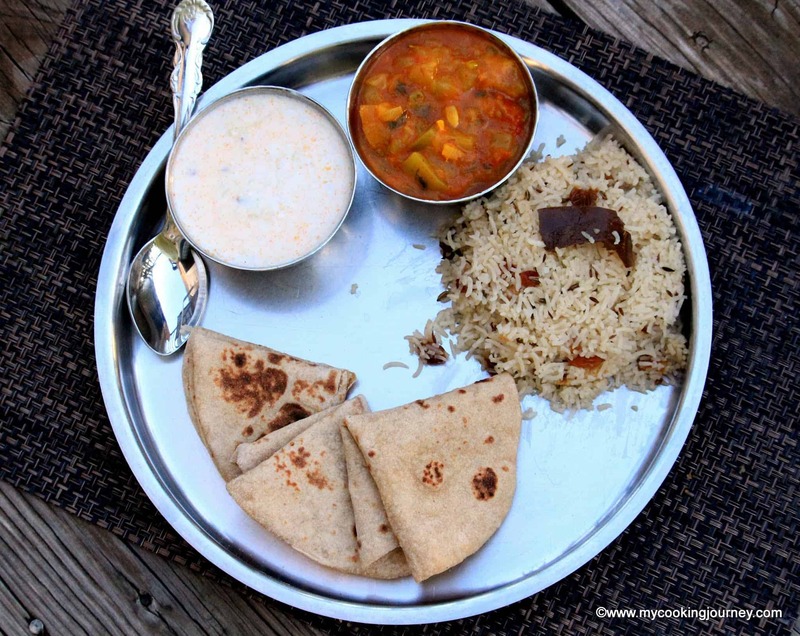 Serve with Biriyani, pulao or roti’s. What a refreshing raitha!!! so fresh and yummy!! I have never had the pleasure of tasting this lovely recipe, but it looks so good I am super excited to test it out. I just have to stop off at the market and pick up a few items. Thank you Heidy! 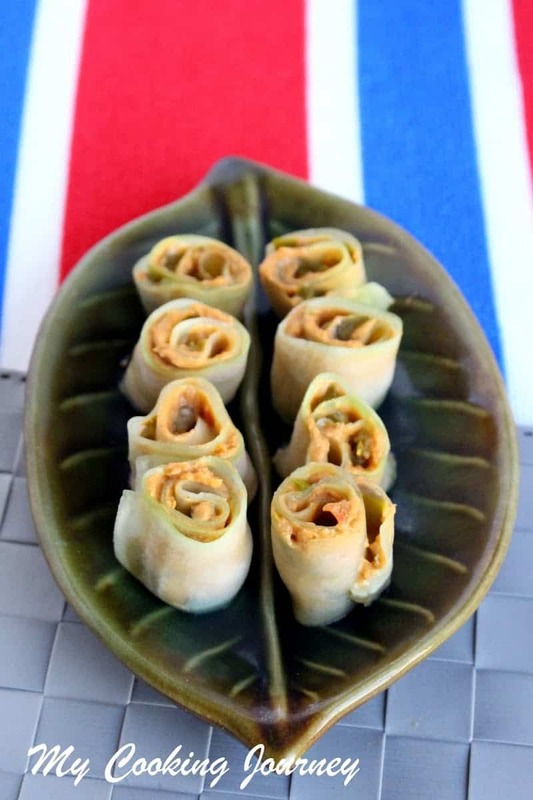 It is a simple recipe to make and very flavorful. Thank you Danielle! I agree, this is great for summer. What a pretty color and flavorful dip. WOW! Thank you!!! This looks so delicious!!! 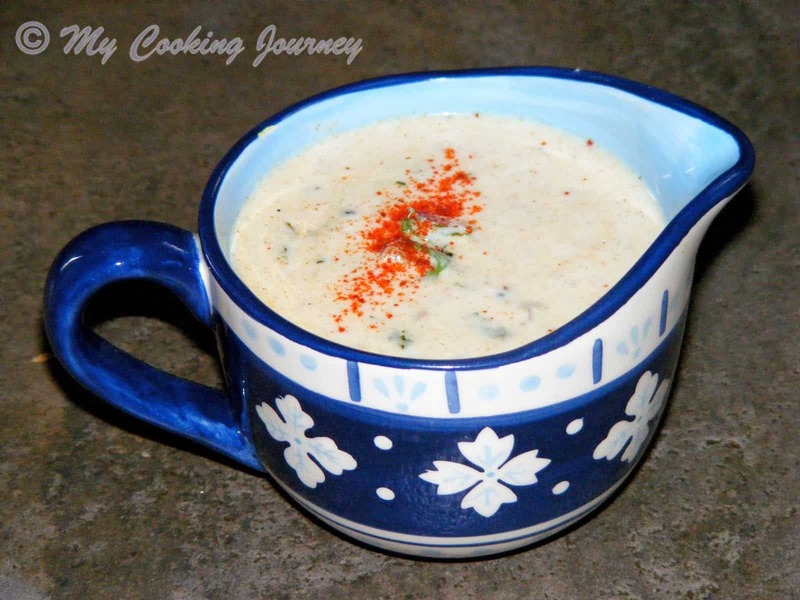 I LOVE raita and the simplicity of this recipe! Thanks for that great Indian recipe. Thanks Mahy! 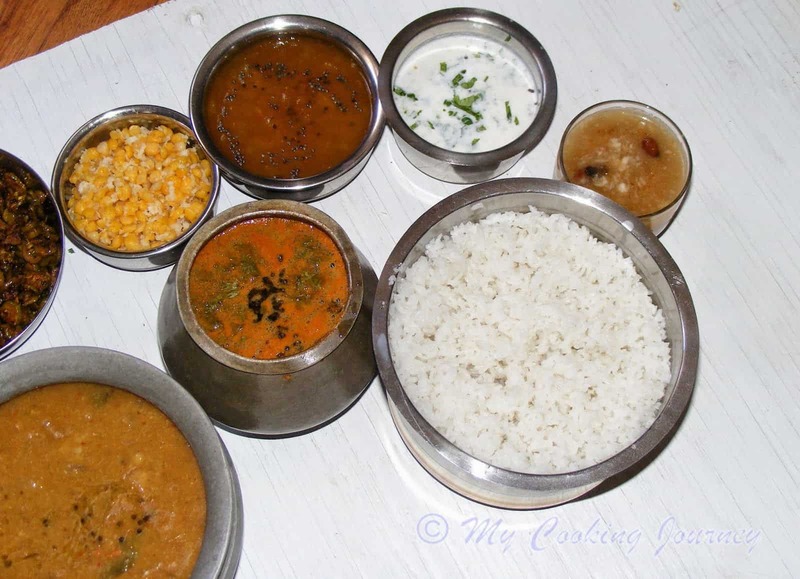 Raita is so simple and perfect with many different meals. 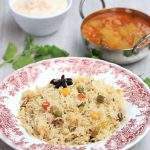 Mmmmm I often find the biriyani that we order from our local place is too spicy for me (even when I say low heat! ha!!) I will have to mix some of this up next time we order so I can enjoy it more! 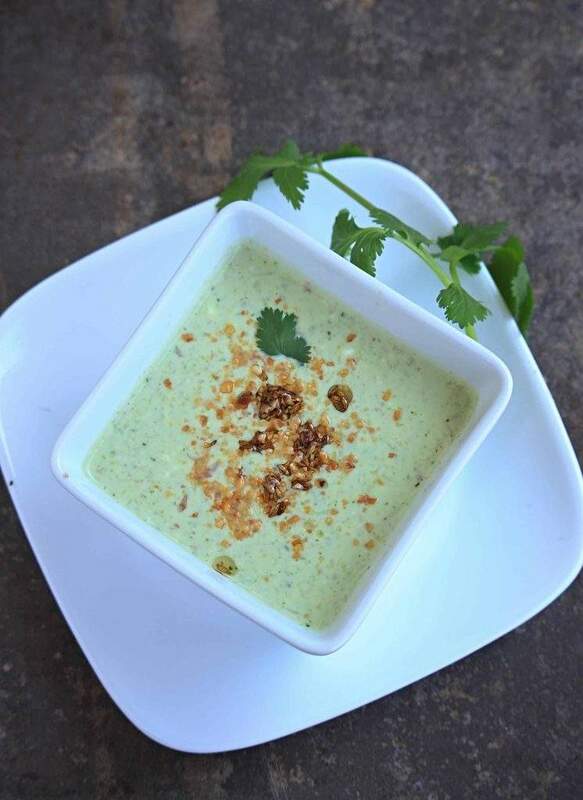 Definitely a delicious and refreshing raita! The type of a dip that I prefer to enjoy as often as possible. Really loving it.